The general principles concerning a legal representative’s obligations on receipt of another party’s privileged documents are rooted in case law and should not be controversial. In this respect, Hong Kong case law applies English case law. Therefore, the recent decision of the English Court of Appeal in Atlantisrealm Ltd v Intelligent Land Investments (Renewable Energy) Ltd  EWCA Civ 1029, should be of interest. In brief, during the course of litigation between the parties, the defendant’s solicitors mistakenly included a privileged email among several thousands of documents disclosed to the plaintiff’s solicitors. It appears that the junior solicitor handling the disclosure exercise at the plaintiff firm was genuinely unaware of the defendant solicitors’ error. However, his more experienced colleague did appear to spot that the privileged email had been inadvertently disclosed by the defendant’s solicitors. On appeal an issue arose as to whether it should have been obvious that the email was inadvertently disclosed when the junior solicitor had not realised the defendant solicitors’ error but his more experienced colleague had. In this “two solicitors situation”, could it be said that the person inspecting the document had appreciated the other side’s error? There appeared to be a dearth of authority on point. Unsurprisingly, the English Court of Appeal found that the privileged email had been disclosed as a result of an error that should have been obvious to the plaintiff’s solicitors. The email was the only privileged document disclosed out of hundreds that had been excluded. Furthermore, a couple of months after inspection of the defendant’s documents and after discussing the email between themselves, the plaintiff’s solicitors had raised the issue of the email in correspondence with the defendant’s solicitors. The more senior solicitor’s experience was a relevant factor. Of particular interest are the closing paragraphs of the Court of Appeal’s judgment. The judgment acknowledges that mistakes on disclosure or discovery happen, even with electronic processes, and puts an emphasis on co-operation between the parties’ lawyers when privileged documents are inadvertently disclosed as a result of an obvious error. The judgment also reminds lawyers in any common law jurisdiction of their duty to act honestly whether giving disclosure of documents or inspecting documents. The judgment is highly persuasive in Hong Kong, given the same underlying principles on discovery. 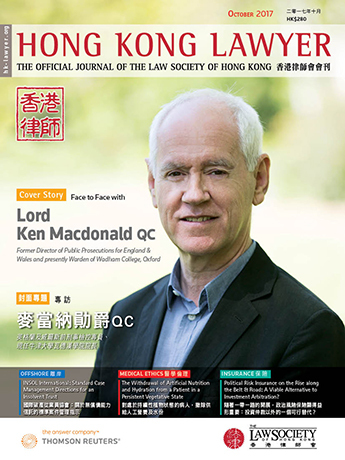 The trend of cases in Hong Kong has been to assist parties where they have inadvertently disclosed privileged material and where interlocutory relief is appropriate in the circumstances (for example, see: Industry Insights, “Inadvertent Disclosure of Privileged Documents and ESP”, August 2015; and Charles Hollander QC on “Documentary Evidence in Hong Kong”, para. 23–007). The possibility of inadvertent disclosure is also provided for in Practice Direction SL1.2 (“Pilot Scheme for E-Discovery”); in particular, the desirability of having protocols for the “clawback” of any inadvertently disclosed material.